Production area: Robbio was the originally place, but now it is produced in a wide area on the border of Lombardy and Piedmont (robiola with cow’s milk) and in the Langhe (robiola – a mixture of cow’s milk and sheep or goat). The cheese pasta is fresh and white, moist. The robiola is edible after 8 or 10 days of preparation, also last even a month, but is excellent after 15 days. 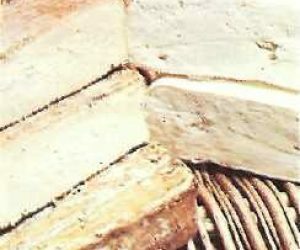 The Robiola Roccaverano is prepared precisely like the Roccaverano cheese in the area of Acqui. They are delicate, tender, flaky, delicious, even good fresh, but far preferable cured and seasoned with basil, rosemary, genepy in flower or leaf and fennel seeds. The crust is guaranteed by the deterioration sprinkling of powdered mustard. 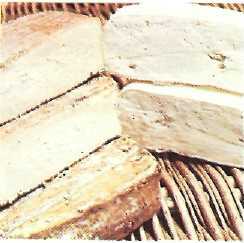 Subtypes: Robiolino. The processing method is very similar to that of robiola, and vary only measures and the percentage of grafting of goat or sheep milk. They have a white and humid body.